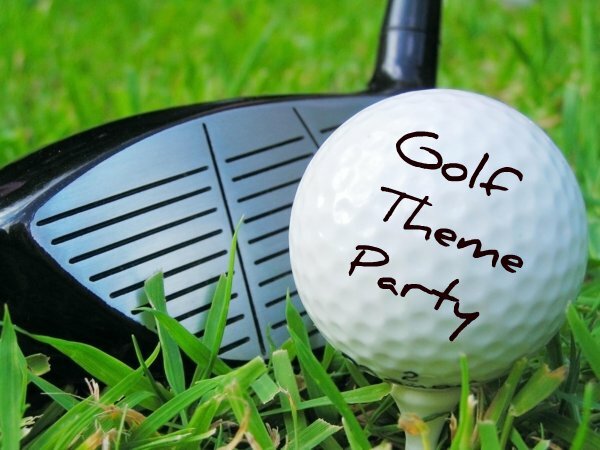 Check out these creative golf party ideas to help throw your golf enthusiast an awesome golf themed party…or should I say par-tee!! The following games are perfect for a party thrown at home, neighborhood course, or even at your local country club. This is a good icebreaker for when guests start to arrive. 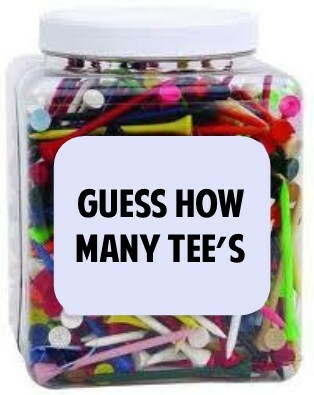 Have a jar full of golf tee’s displayed and let guests try and guess how many are in the jar for a fun door prize. Make sure you count them as you’re filling up the jar. The guest closest to the correct amount wins! When guests arrive hand them a print out with all the names of the golfers printed on it. 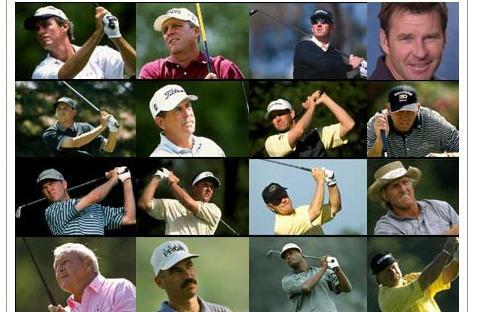 Their job is to match up the name with the golfer’s picture by writing the pictures letter next to the name. The person that gets the most correct answers wins. Have more than one prize in case there are ties. This is a fun golf themed party putting game where if you miss you’ll have to suffer hilarious consequences. You’ll need a simple putting game to play. Gather up everyone who claims to have the skill to take on this challenge. Every player gets three chances (three shots) to make a hole-in-one putt. Stand on one foot during your next putt. Think up a few funny ones of your own to add, if you can’t, that’s ok because these penalties can be used more than once. After every round increase the challenge by putting from a further distance. Eliminate players if they do not make the hole in three shots, and continue playing to only one person is left. Or play a set number of rounds and whoever has the most hole-in-one balls wins! If you have a pool then this is a must have for your golf party! Simply open the floating target with a flip of the wrist and let it loose in your pool. Player take turns chipping their colored balls (game includes 3 red, 3 orange, 3 yellow, 3 blue) from the included chipping pad and trying to land them onto the floating target and closest to the 18th hole flag. 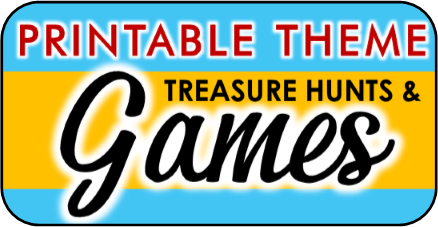 The game has often been touted to be the hit of the party! The best deal I have found on it is amazon.com. Another fun golf game I found on spending way too much time on Amazon is putt putt bowling. 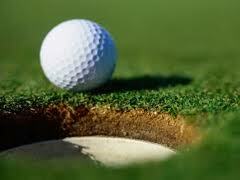 It's a simple and fun game to play, all you need are golf tee’s, a putter, and a golf ball or two. Set up the tee’s like bowling pins, and play against your friends just and score just like you would in a real bowling game. 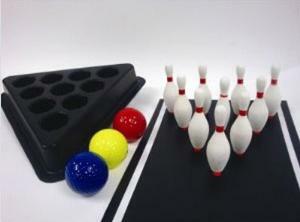 After I put this game up I discovered that they actually sell a putting bowling game that includes 10 miniature pins, a “lane”, and 3 regulation golf balls. It looked perfect. Whoever thought of combining the fun of golf with the game of pool is Genius! The game is called Putter Pool. 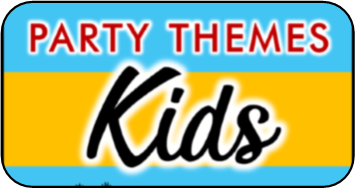 It looks like so much fun and would double as a present and party game for the celebration. 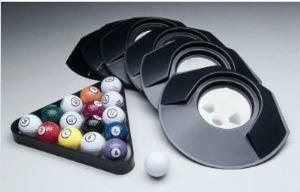 It can be set up indoors or out, and comes with suggested games. You could also just make up your own! Billiards+Golf= tons of fun! Check out the reviews for this at Amazon! 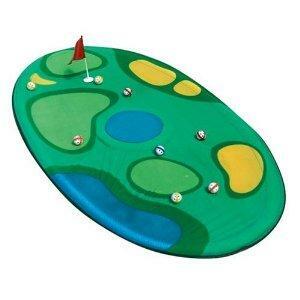 Why not get creative and make up your own backyard putting course! Use a variety of household objects to create a fun and wacky course. Toys, cones, boxes, cups, tubes, etc.. can all be used to create obstacles and make the course interesting. 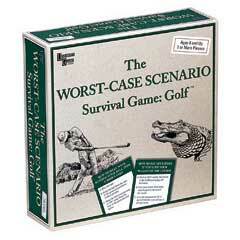 Play golf the Worst-Case way and get ready for the most frustrating-and funny- game you've ever played. First, choose your putter. Will it be a ruler? Your foot? Next, you'll be given a dreadful golf predicament and three possible ways to get out of it. Do you know how to proceed when your ball lands in a bird's nest? Pick the right answer and you're free to make your putt. Pick the wrong one and you'll get a hilarious penalty. You may find yourself trading scores with the losing player, playing on your knees or worse! Having a craft station set up where they can decorate their own golf ball. Include googly eyes, glue, markers, fabric, pipe cleaners etc. If you have a sand box, bury a bunch of gold balls and see which child can find them all in the least amount of time. Golf Ball Toss: let them take turns trying to toss golf balls into buckets or other creative targets.